Google (and Local.Live) Maps Download is a replacement/supplement for the cygwin scripts originally included with Map This! 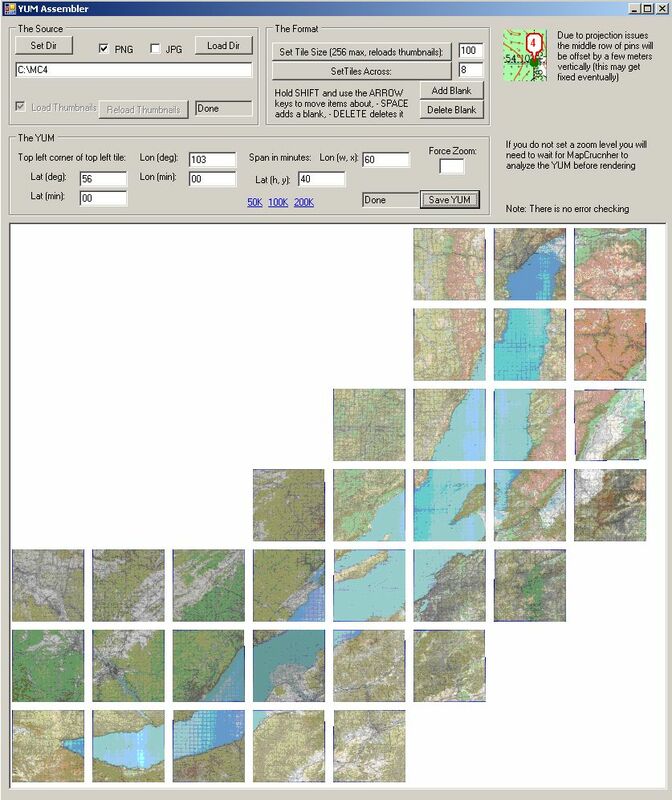 it supports downloading map tiles from a variety of sources, as well as creating compatible tiles from custom maps. It also allows downloading and import of POI (Point Of Interest) and directions to be used with Map This! Thanks to outsider for doing these. (note: OpenStreetMap.org is used as the source - do NOT post videos of Google, VE, etc. 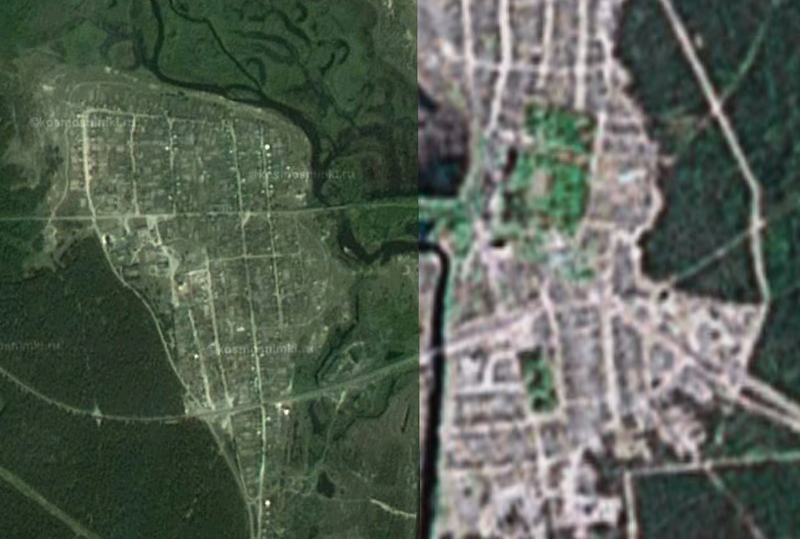 being used as sources (USGS is fine), part of the area is deselected - that area is not downloaded at closer zoom levels to save space). Note: probably best to try it on a small map first. If you do not put in the map/POI/directions name the set/save dialog box will now appear (allowing to save directly to the memory stick for example). Directions from Google now have the distance remaining to next way-point, and remove excessive path points (so you can have a long road mapped out without ending up with thousands of POIs). Writing for Windows was a decision based on the maximum number of people being able to run the application (while it is possible to run Windows applications on Mac/Linux using Wine/emulation/virtualisation the reverse is not the case unless you run an alternative OS in a virtual machine). I looked at having a version written on Objective-C for mac at the start, and at porting using Mono more recently. Maintaining two branches - one in ObjC and one in C# would not have worked, while transitioning to Mono is something I would still like to do (this is not going to happen any time soon) - once the code becomes stable. In the meantime - it is not only the exe - the full (Visual Studio 2005 C#) source code is there if anyone wants to begin porting it. If you just want to run it - it works fine under Parallels and Windows XP SP2 on an Intel mac, and I would imagine you would also get reasonable performance under emulation in VirtualPC (there is not really anything processor intensive). 1. Align and render your map with MapCruncher ( http://research.microsoft.com/mapcruncher/ ) which has quite a comprehensive manual. Navigate in earth equivalent and use preview or, in Advanced, just set x,y to 0,0 and zoom to 16 to the min you want. Note to self: need (diff) sat test? Place your sound files into the sounds directory named as following: message00N.mp3 (message001.mp3 ... message999.mp3), note that the mp3s need to be over one second (you may want to test them on your PSP first). sounds.txt is a CSV that has the message number followed by the words it corresponds to. the first line will be used for waypoints that do not correspond to anything else (but not for MIDPOINTS). sounds.txt is read sequentially, so if you have 4,left then 5,left message005.mp3 will get used for directions containing left. it is not indexed, so 4,left then 4,gauche is valid. Note: you'll have to copy the message00N.mp3s to old map directories manually, and obviously any directions files will have to be rerun. Covered via StatCan RNF and NRC GNSS. Appears to be done as of GMDL 0.4.17a on July 1, 2007 - I would really appreciate some bug reports on this though. You will need the .PBA files and lktab.txt if you want city names (101 files all together) - more details on that in the app. It is probably a good idea to just search for *.pba and copy all 100 of them into a directory. DIVISOR can be generated by using 4 (probably less, but will take longer, scan i up to 2000 for the 4 seeds below) seeds, as following: seed_code * i, take the last 3 digits, if they match the code, make a note of i, seed_divisor * i, take the last 3 digits - that's the divisor. Postcodes only, from various public sources, semi abandoned at this point. Appears to be done as of GMDL 0.4.17a on July 3, 2007 - I would really appreciate some bug reports on this though. For example (the NZ txt extract), open Excel, open the txt, leave the import on Delimited, with Tab, and Finish, select all cells except the header row, and sort AtoZ (this eliminates the empty rows). Re-arrange the columns as follows: LONG, LAT, FULL_NAME and delete the others. Save-as a csv (Yes to keeping in the CSV format). Open GMDL, click GeoData, select the Custom (CSV) tab, set the file and click process, place the resulting geodata.dat into your map directory. 6) Wait, and that's it. This page was last edited on 23 August 2018, at 11:48.